Is There a Spider-Man Curse? You’ve probably heard of the Superman curse: Bad things happen to people who play The Man of Steel, whether it’s the tragic deaths of George Reeves and Christopher Reeve or the career deaths of Dean Cain (soon to be oh-so-briefly-seen as the titular heroine’s adoptive dad on CBS’ new Supergirl) and Henry Cavill (The Man from U.N.C.L.E., anyone… anyone?). 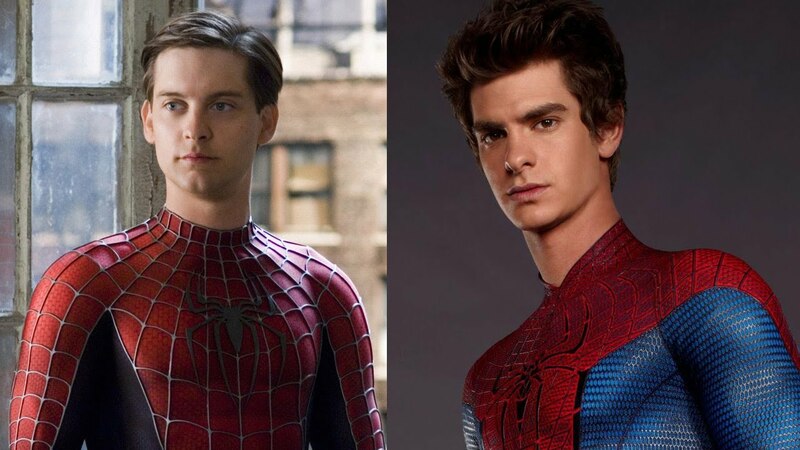 I’m starting to think there’s a dark cloud over anyone who plays Spider-Man as well, especially after seeing the two most recent web-slingers, Andrew Garfield and Tobey Maguire, in nearly empty theaters playing their new indie dramas, 99 Homes and Pawn Sacrifice. Granted, even the Justice League and Marvel Universe combined probably couldn’t force mass audiences to see movies with such uncommercial topics as chess and real estate. But even in the rarified world of arthouses, these films have underperformed. And that’s a shame, at least in one of these cases. That would be the case of 99 Homes. Garfield, with a flawless American accent, plays a Florida single dad who’s evicted by a Machiavellian real-estate agent (Michael Shannon, aka General Zod from Man of Steel… uh oh!). Desperate for work, the construction worker starts doing odd jobs for the realtor and ends up learning the evil tricks of his trade. It’s an old-fashioned morality play, but cowriter-director Ramin Barani treats it like the horror film it truly is. With his laser eyes and ever-present e-cig, Shannon embodies a very modern devil, and the flawless cast also includes Laura Dern as Garfield’s world-weary mom and Tim Guinee as a there-but-for-the-grace-of-God homeowner whom Garfield must evict. On the surface, 99 Homes is an entertaining thriller, but on a deeper level, it probably hits too close to home for many Americans. The problem with Pawn Sacrifice is that there is no deeper level to its portrait of tortured chess genius Bobby Fischer. It’s not Maguire’s fault, nor can I quibble with the work of such top-notch character actors as Liev Schreiber (as Terminator-esque Russian champ Boris Spassky), Peter Sarsgaard (as a priest who inexplicably becomes one of Fischer’s manager) or Michael Stuhlbarg (Shannon’s fellow Boardwalk Empire gangster). But none of the characters’ motivations are ever made clear, and the film’s depiction of Cold War America is like a coloring book compared to Steven Spielberg’s brilliant new Soviet-era drama Bridge of Spies. Director Edward Zwick (Glory) pumps up the soundtrack with hits from the period like Creedence Clearwater Revival’s “Travelin’ Band” and the Doobie Brothers’ “Listen to the Music.” Yet all you can really do is listen to the music, because there’s not much else going on. Pawn Sacrifice downplays the uglier manifestations of Fischer’s mental illness, especially his anti-Semitism, perhaps in an attempt to get viewers to root for him. Yet he’s such an unpleasant character that we end up feeling like the pawns. Spider-Man is about to get another reboot, with the gifted young British actor Tom Holland (The Impossible) as wall-crawler Peter Parker. One can only hope his Spidey senses are tingling, and he won’t get caught in the same career web that has ensnared his predecessors. Anybody heard from Nicholas Hammond lately? « Olivia Wilde Gets Naked!